We’re really spoiled here in the UK. There are miles of rugged coastlines and sandy beaches plus rolling hills and greenery, so sometimes it can be difficult to decide on your next staycation destination. 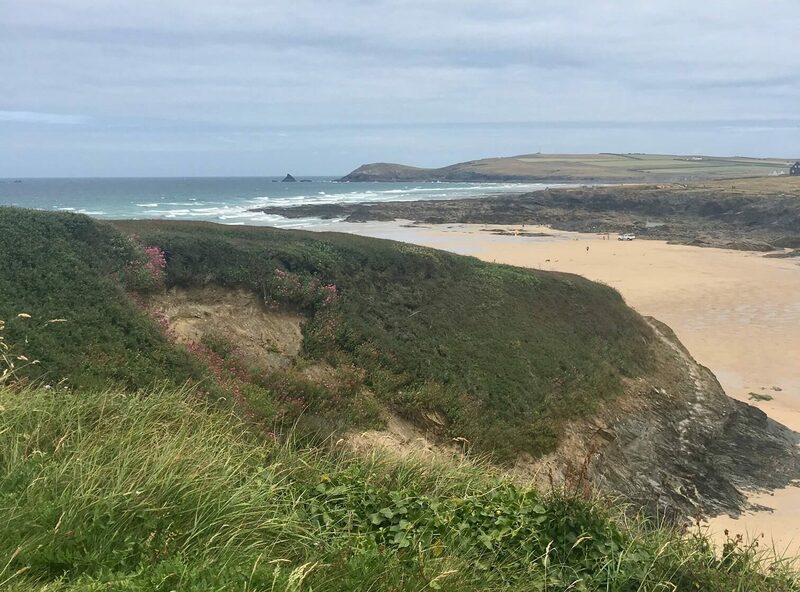 Is it the sea breeze in your hair and the sand between your toes that floats your metaphorical boat or do you prefer the peace and quiet of a mini break in the countryside? With breath-taking sea views, delicious food, and lots of fresh air, it’s no wonder that 38% of the top 10 holidays last year involved a trip to the beach, according to research compiled by the Association of British Travel Agents (ABTA). These aren’t the only things that make a coastal holiday a great choice for travellers. Beach holidays are therapy for the mind, body and soul. The sound of waves crashing against the coastline is super therapeutic, the sea air helps you to sleep well and walking on the beach barefoot is one of the best feelings in the world. Everyone’s got those happy memories from coastal holidays – eating takeaway fish and chips while fighting off the seagulls, making sandcastles on the beach or burying your little brother (just me?! ), and rolling up your trousers to go paddling in the sea. However, there are some drawbacks to taking a coastal break. Seaside holidays are more expensive that countryside breaks, even in the off-peak season (from around £450 for seven nights, compared to £360 in the countryside). Usually seaside towns are also busier with people than rural retreats. Lots of people dream about escaping to the country, especially if you live in a densely populated town or city in the UK. Estate agents like C residential Rugeley can help make this dream a reality and turn your break into something more long-term. After all, countryside breaks definitely mean peace, quiet and relaxation so why not extend that indefinitely? Rural stately homes, picturesque landscape, Britain’s darkest skies and more walking and cycling routes than you can shake a stick at, the countryside is one of the best places to unwind and relax from the stress of everyday life. In the countryside, you can also get closer to nature. There is an abundance of British wildlife including beautiful birds, butterflies, hedgehogs, foxes, rabbits and deer. With some of the countryside being so isolated, if you’re more near to the city you might find a break like this a little, well, strange. In the most rural of locations there’s a lack of wi-fi and phone signal which might make you feel cut off and in need of a signal booster for home. You might also find yourself travelling further for dinner – a car is essential in the countryside. So, which do you prefer? Whether it’s the secluded relaxation of a countryside break or some old fashion seaside fun, there’s plenty to choose from in the UK. And I for one just can’t choose between them!